For some it’s hard to comprehend how drastically the ways we consume music, TV and movies has changed. Baby boomers and even some Gen X’ers can recall a time when most homes had only one television set. And viewing options were limited to what was on at that moment on the three major networks. Eventually cable, satellite television and VCRs expanded our choices. Today, the entertainment landscape is one that was surely unimaginable to most of just 20 or 15 years ago. Smart TVs, tablets, smartphones and other mobile devices allow us to watch or listen to almost whatever we want, whenever and wherever we want to. The number of content providers is already in the 100s and growing every day. So how did we get here? And what may the future hold? If you want to be pedantic, streaming has been around for a long while. The dictionary defines the term as “relating to or being the transfer of data (such as audio or video material) in a continuous stream especially for immediate processing or playback.” Historians indicate radio and television broadcasts are streaming examples that have been around since the beginning of the 20th Century. But today when people refer to “streaming,” they mean the use of an Internet connection to consume entertainment. Watching television and movies, listening to music and playing video games are now done on an Internet connected device. Specific streaming devices, such as a Roku or Apple TV, can plug into a TV. Modern-day streaming allows for viewing without downloading and storing a file. It also enables you to watch a show or listen to content exactly when you want to. This kind of streaming began in the early 1990s. It’s exploded in popularity and usage recently through the emergence of such apps as YouTube, Netflix, Hulu, Spotify and Pandora. In fact, according to statistics from the Pew Research Center released in September 2017, 61 percent of young adults in the U.S. (those ages 18 to 29) say they watch television primarily through the use of online streaming. Relatedly, the research firm eMarketer has estimated that a total of 22.2 million adults in the U.S. had “cut the cord,” i.e., canceled their cable or satellite television service, by the end of last year. Looking ahead, it can be hard to predict what the future of streaming may have in store for consumers. Certainly it stands to reason that the number of streaming apps will continue to proliferate. But how expensive might these apps become? How fragmented might the market become and how many apps will consumers have to subscribe to in order to watch the shows and have access to the music they desire? At World Cinema, we are committed to helping our hotel clients provide guests with the best in-room entertainment experience in the hospitality industry. 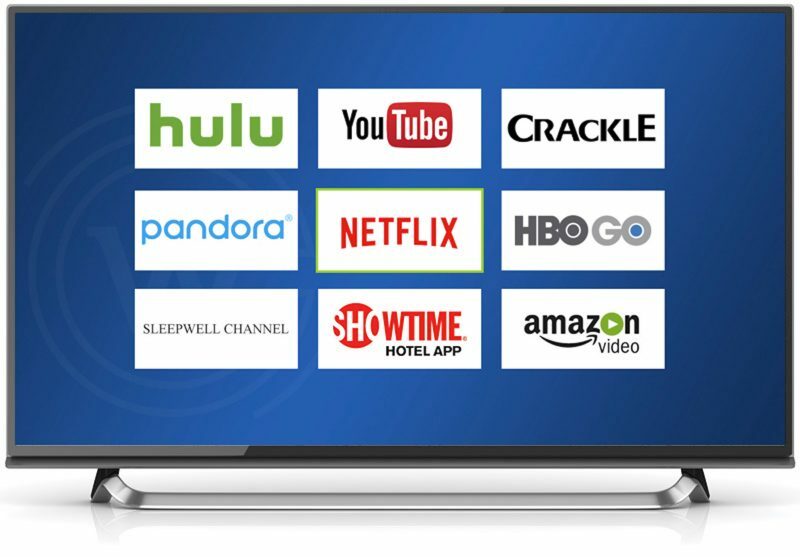 We know that today’s guest wants to stream entertainment from their devices onto the hotel TV. We provide – and will continue to provide – the technology that seamlessly allows guests to do just that. In fact, we recently announced the availability of the new SHOWTIME Hotel App. This no login, no password, no hassle app provides your guests with a revolutionary way to experience premium entertainment. Guests now have free instant access to groundbreaking Original Series, star-studded movies, action packed sports and compelling documentaries. We are committed to providing innovative in-room entertainment solutions for hotels and their guests at reasonable prices. Our solutions are future proof and will continue to fit comfortably into our clients’ budgets. And as always, we will provide our customers with outstanding service regardless of how future developments in streaming affect the hospitality TV entertainment landscape.